In November I took one step further in designing. While designing December's designs I got an inviting mail from Poster Gully. I had never heard of Poster Gully before but I was happy with that mail. Not being a professional designer if I am getting a mail from another website to put my designs on it then it is some sort of achievement for me as a designer. I discussed about it with one of my friends & he said that Poster Gully is a good website and he often buy things from it. Then I submitted my artwork on it and it was approved by them then the products were online. 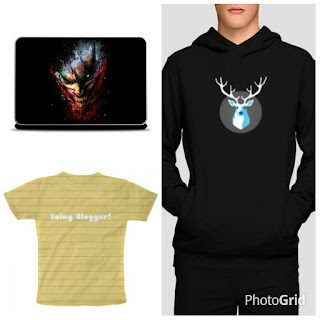 There is only t-shirts on freecultr while on Poster Gully there are posters, mobile cases, laptop skins, wall arts, wall clocks, t-shirts, tank tops, greeting cards, hoodies, mugs etc. So now my product portfolio is wide and varied. Hence I am concentrating more on designing these days. I am giving lot of time to it and trying to make better designs. Let's have a look at the designs of this month. 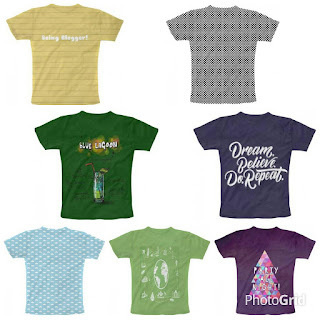 On freecultr I have created 7 designs for this month. December is month of Christmas and new year parties. So I have made a tee on dark shade with party christmas tree on it. Second tee is dedicated to all the bloggers (including me). It says Being Blogger. Now all the bloggers can announce themselves proudly in society. Third one is around the world tee. It has world's famous monuments on it with the globe in centre. It is a good looking green tee. Fourth tee is in light blue colour with small clouds all over it. Fifth tee has checks on it. Normally we see checks on the shirt. So I thought let mee try it on tee. Black and white checks gave an awesome look to the tee. Sixth one is in dark green colour with one of the cocktails on it. 'Dream. Believe. Do. Repeat' is the message on the last of this month for those who dream. On poster gully, I have made almost all the products but today I will talk about three of them in which I have made more designs. 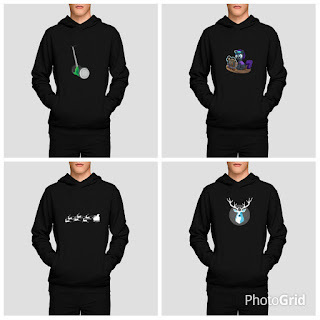 Let's start with hoodies. In winter hoodies are the new black and eventually the hoodies on poster gully are in black. Hoodies are decent with simple designs on them. Poster Gully offer hoodies in two colours black and grey. 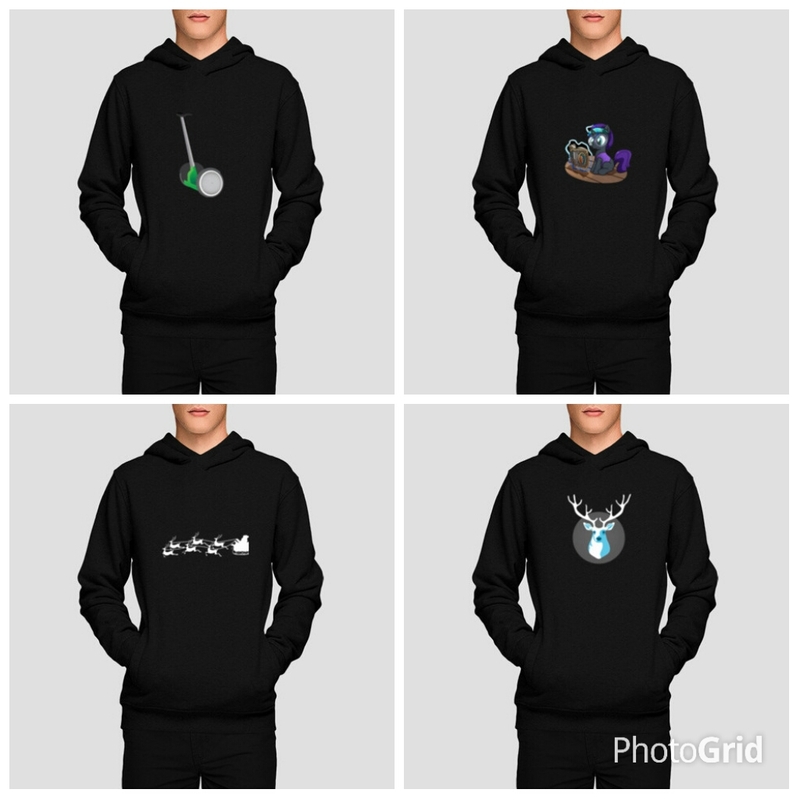 Hope you guys will love these hoodies. Laptop skins are classy. 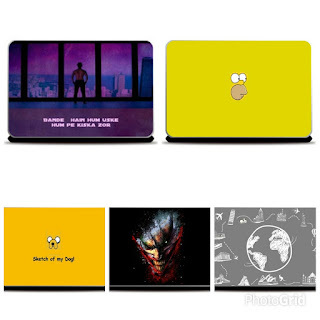 It will change the look of your laptop. There is simpson, joker & back of aamir khan on it. Your laptop will get a new look after wearing these skins. Protecting a mobile has become trendy with the designer cases. Poster Gully has mobile cases for almost all the premium mobiles. So if you want to give a trendy look to your mobile. Buy one of these. Yes from this month its products of the month. This month its a tee, a hoodie and a laptop skin has grabbed some eyeballs.